For half a century, customers have been turning to Ifor Williams Trailers to make their working live easier and their leisure time better! Whether you are looking for a trailer for commercial or domestic use, Ifor Williams Trailers is sure to offer a trailer that suits your needs. From builders to tree surgeons, our flatbed, tippers and general duty trailers are used across a huge variety of industries. 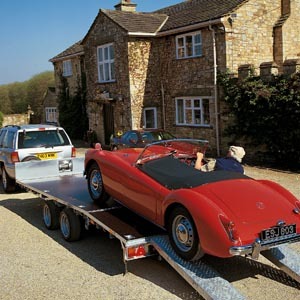 Our range of car transporter trailers is used by rally drivers and garage owners, while our box vans are increasingly popular with coach and bus firms, market traders, hot air balloonists, scout troops and trades people who convert the interior into mobile workshops. 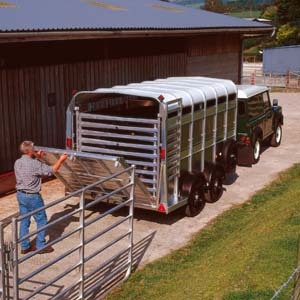 Farmers continue to put their trust in the reliability and durability of an Ifor Williams livestock trailer along with trailers to carry quad bikes across the farm and Canopies for their pick-up vehicles. Horse owners have been returning to us year after year, confident in the knowledge that they are choosing a reliable and robust trailer in which to tow their horses. Whitehall Trailers are a key component in the Ifor Williams Trailers UK Distributor Network. Trading from Top Tomlow Farm, near Southam in Warwickshire, Whitehall Trailers offer the entire Ifor Williams Trailers range, backed up with excellent customer service and aftersales.